Dual input ports for Micro & Iphone. Four USB output, 4.2A (max) fast charging. Safely avoid over-charging,over-discharging and short-circuit, with a precise IC protector. Matte finish surface, anti-dust, anti-slip,anti-fingerprint. 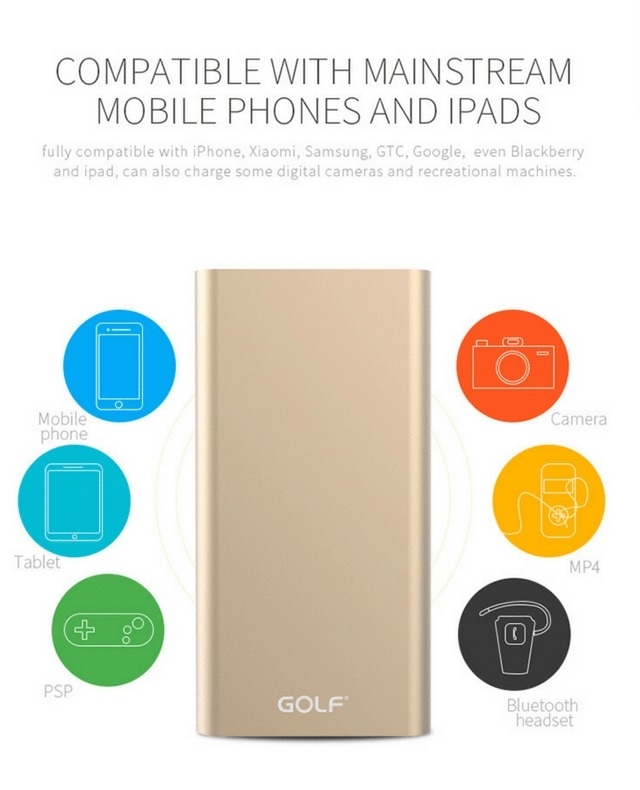 A very powerfull Golf powerbank with its 10,000mAh of battery to charge all of your devices. But still very portable. Dual input ports for Micro & Iphone. Four USB output, 4.2A (max) fast charging. Safely avoid over-charging,over-discharging and short-circuit, with a precise IC protector. Matte finish surface, anti-dust, anti-slip, anti-fingerprint.